Colors Of The Rainbow is a painting by Carter Neal which was uploaded on October 5th, 2010. 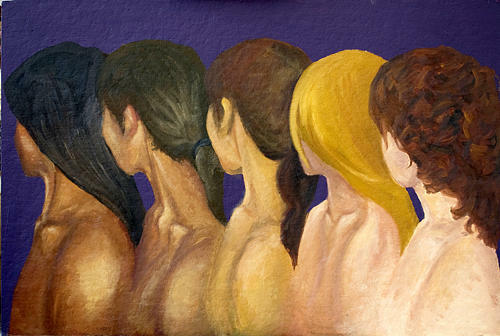 This painting shows the flow of color from one skin tone to another. This painting is a celebration of every and all color and type of skin. There are no comments for Colors Of The Rainbow. Click here to post the first comment.